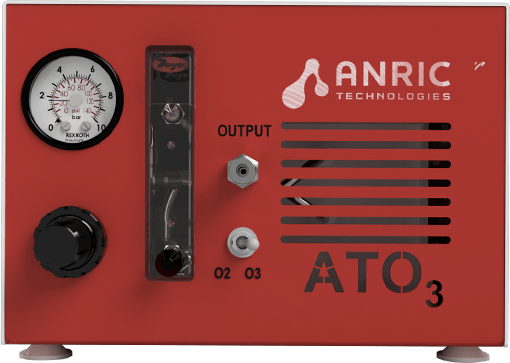 The ATOzone system utilizes high quality components to yield an overall system that delivers high concentration ozone in a very small form factor. 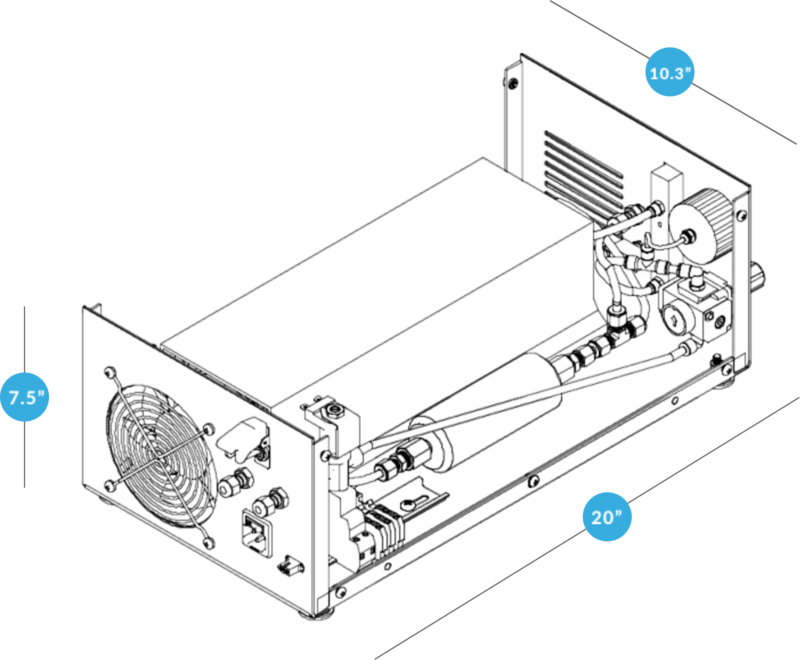 The system does not require expensive and bulky water cooling, just built-in high velocity fans to keep the plasma cell cool even during prolonged or constant use. Pure oxygen is brought into the tool from the back. The oxygen pressure is regulated using the front, panel-mount regulator and is then fed into the corona plasma cell to create ozone. The ozone is then split between a built-in ozone destruct unit and the ozone output at the front of the system. If the ozone is not being utilized (i.e. 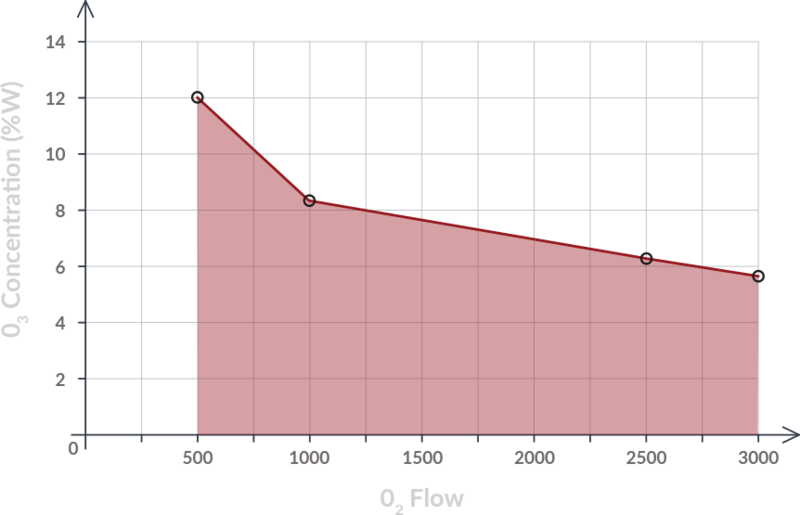 not flowing through the ALD system or another device) then all of the ozone goes into the destruct unit and the outflow is pure O2 again, which is directed through a flow controller and then to the exhaust in the back. If the ozone is being utilized, then the net flow of ozone is to the output and not through the destruct. There are several ways to operate the system. You can manually turn on the system to output either O2 or O3 (via a switch on the front panel) or you can utilize a 3-24V signal to remotely turn on and off the O3/O3 output.